WAF is short for Web Application Firewall, and is a firewall for web applications. It is a way to protect network traffic on an application level. A WAF examines and filters traffic to web applications. It keeps track of communication between the client and server, and server and server when building advanced web applications. A WAF allows you to, on a very detailed level, control access and decide what traffic should be blocked. A WAF protects against some of the most common cyber attacks, including SQL injections, cross-site scripting and (D)DoS attacks. A Web Application Firewall can be described as proactive and self-learning. When you first define communication and access, you let the WAF monitor traffic for a period of time so that it can learn what legitimate traffic looks like. It then creates a default mode and the WAF can then keep track of unusual traffic patterns. This way, it has a very short response time to security threats. 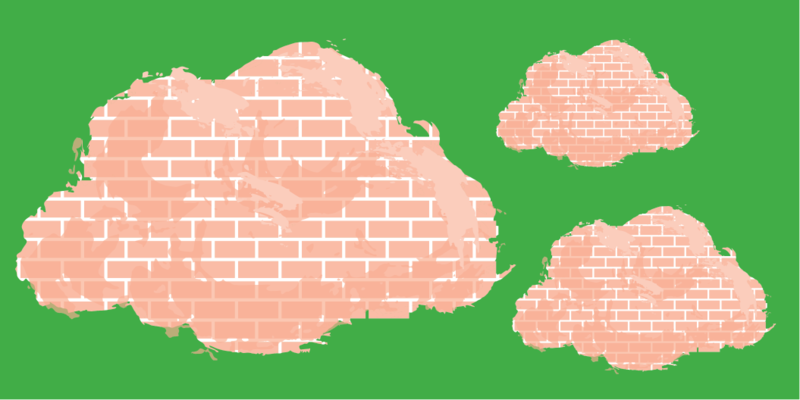 What are the differences between Web Application Firewalls and traditional firewalls? Application firewalls are on a higher level in the OSI model compared to traditional firewalls. This is due to the fact that you protect the application itself, which provides it with an extra layer of security. What differs a WAF from traditional firewalls is that it is a bit more ‘user friendly’. You don’t have to rewrite rules in it all of the time. If a new type of hacker attack is discovered you can update the WAF software with the attack signature, which enables it to learn the patterns of that traffic and block it. One could say that a WAF gives a more intelligent protection than traditional firewalls. What are the benefits of using a WAF? There are many different ways companies can benefit from using a WAF, and this has got a lot to do with the fact that it is a flexible solution that provides direct protection of the application. A WAF protects applications against threats, and you get a customized solution for your application as opposed to traditional firewalls that function as one solution for all kinds of applications. Something that makes a WAF stand out from the crowd is flexibility. The settings of a WAF can be changed retroactively and over time, and some of the features are automated. This enables quick response, and reduces the risk of human errors. Many agree that it is better to protect the application itself than the server itself. This allows for a deeper level of detail compared to traditional firewalls, thus giving a more ‘fine tune’ protection. A Web Application Firewall prevents data loss, data corruption and spoofing. A WAF is simply an effective way to have an updated and proactive protection for your application without having to put a lot of effort into it.